Wind power technology is advancing at a fast pace. The demand for full scale test systems is on the rise. All investors and manufacturers in the wind power industry want to make sure that turbines function flawlessly. A malfunctioning turbine is a nightmare, especially on offshore wind farms. Peikko and R&D Test Systems partnership combines expertise and know-how, giving added value to the customer. ‘Repairing a turbine in offshore conditions is both difficult and costly. 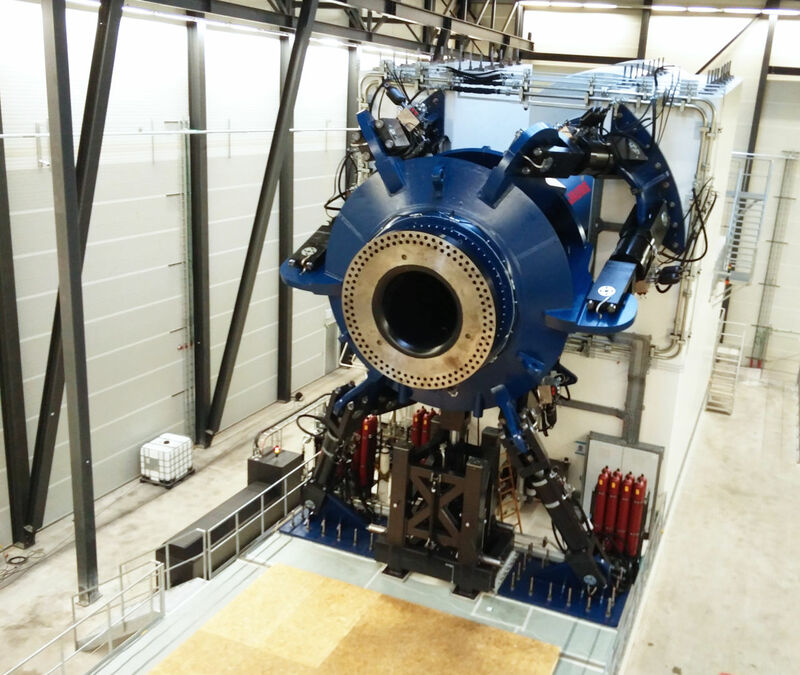 That is why the turbines are put through a series of vigorous tests in a controlled environment,’ says Lasse M. Stephansen, Senior Project Manager at R&D Test Systems. R&D Test Systems is an international engineering company with a strong track record within turnkey test bench solutions for manufacturers and test facilities. End-Of-Line Test is a procedure which every single turbine has to pass. However, it is the Highly Accelerated Life-cycle Test that makes the engineers’ pulses quicken. ‘During HALT, the machinery is subjected to strain equivalent to an entire 25-year life cycle. This puts the equipment under an enormous amount of stress and loads the test bench more than you can imagine,’ Lasse M. Stephansen explains. With the increase in wind turbine sizes, the test benches need to cope with ever higher static and dynamic loads. That is when the foundation design becomes extremely important. 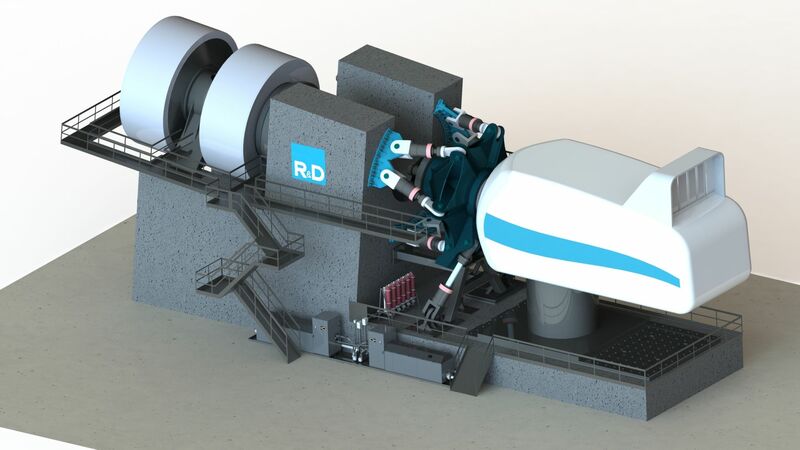 R&D Test Systems uses a heavy concrete foundation to reduce vibrations. 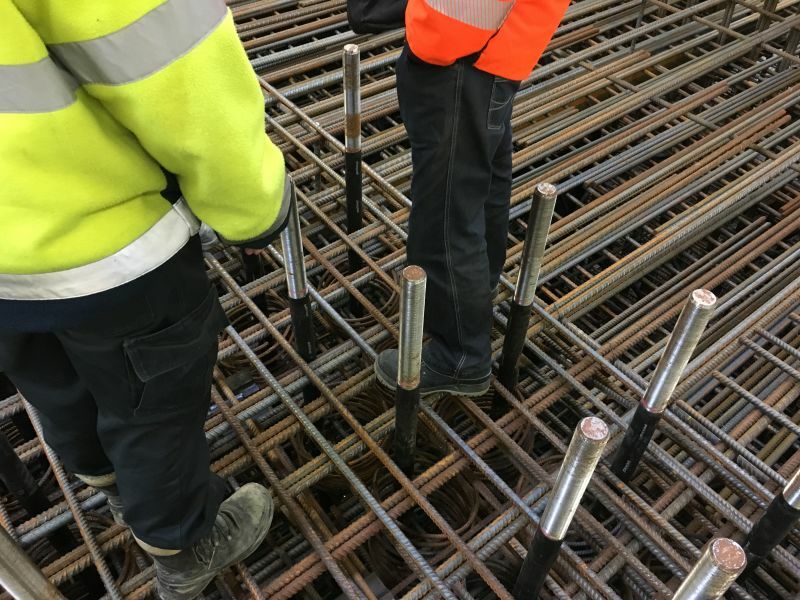 The stability of the foundation as well as the correct positioning are vital for the test setup to work. 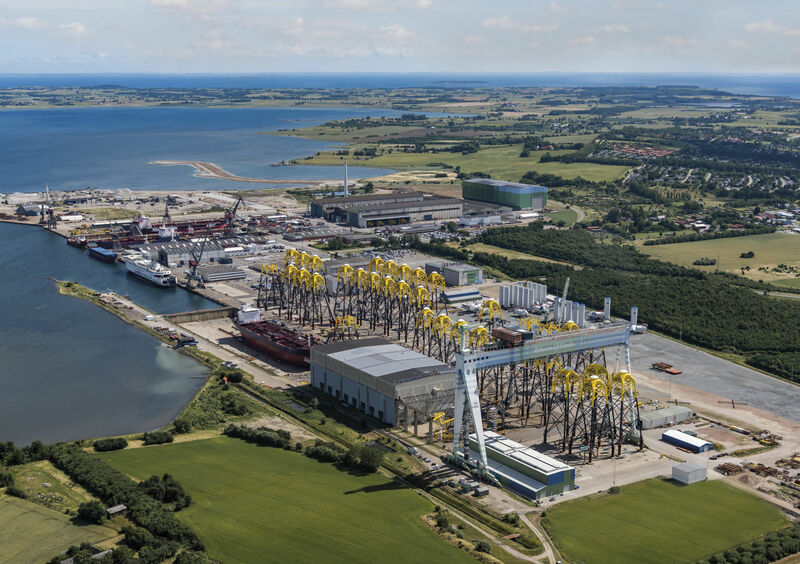 To date, the largest test bench R&D Test Systems has supplied is located at Lindø Offshore Renewables Center in Denmark. ‘The HALT test bench at LORC’s test facilities has a 1500 m3 concrete foundation. 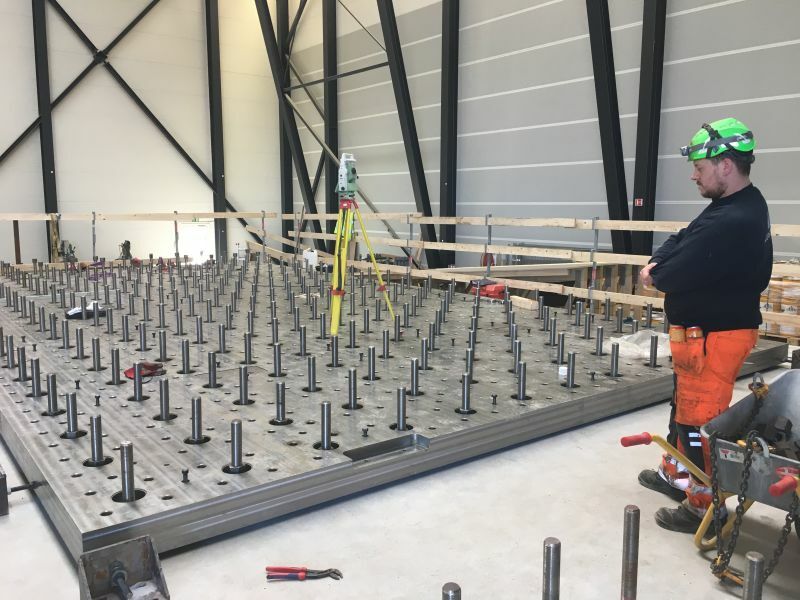 Nonetheless, the turbine needs to be positioned with a deviation less than one millimeter – despite the fact that the test bench is 31 meters long and 13 meters high,’ adds Lasse M. Stephansen. 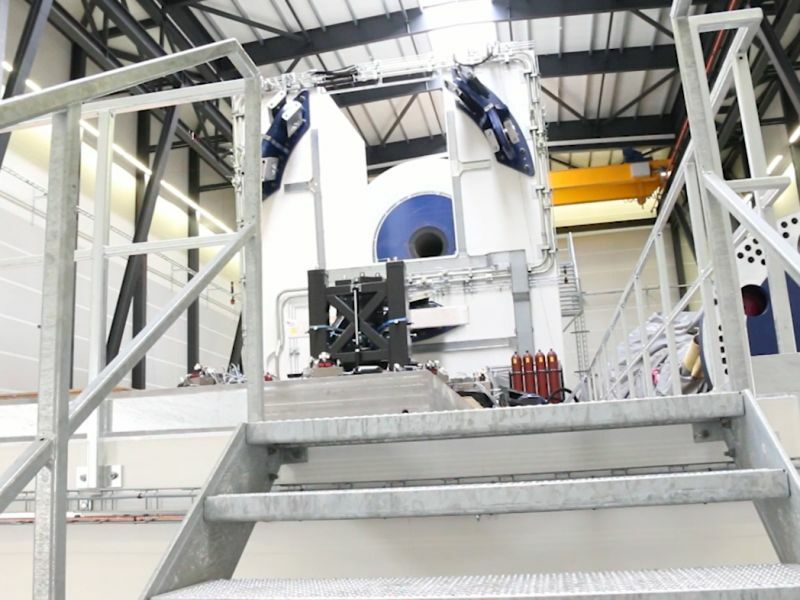 The test bench for LORC has been developed for Highly Accelerated Life-cycle Testing of wind turbines and has a hydraulic Test Load Unit, which can add a bending moment of up to 25MNm to the test subject. In addition to this, the drive motor system and drivetrain can add a torque of 14.5MNm to the test subject.The hydraulic Test Load Unit operates as a wind simulator and can replicate the reactions of the wind on the main axle of the test subject by applying forces in three directions and bending moments in two directions on the test subject. 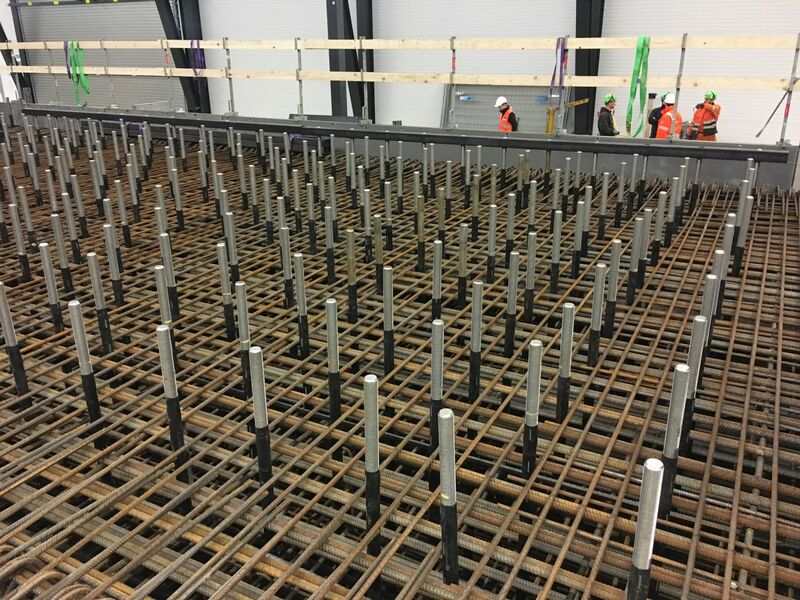 The foundation for the test bench is a massive reinforced concrete foundation and where the test subject is fastened. High stiffness for machine to foundation interface is needed for accurate metering of loads. To increase the complexity even more, the anchoring system must be flexible as the physical dimensions of the turbines vary. 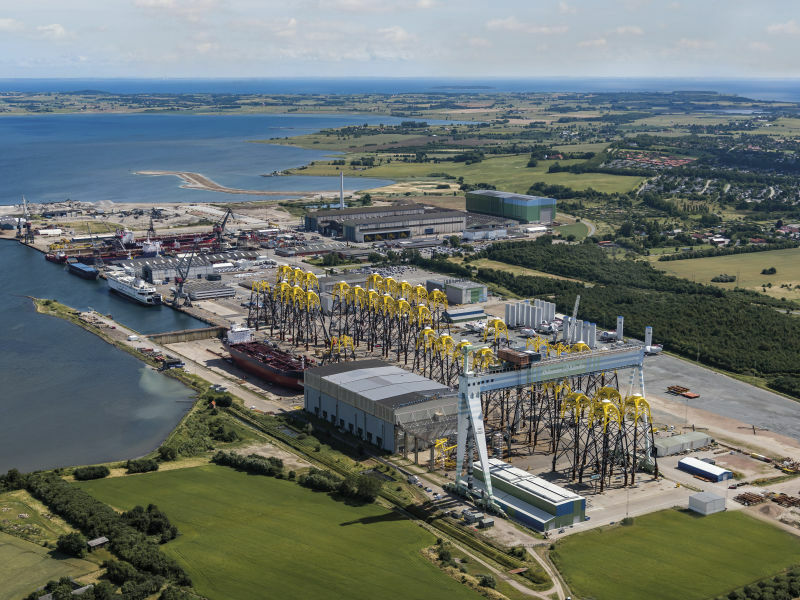 Thus, a truly special solution is needed for installing the turbines and transferring the loads safely. 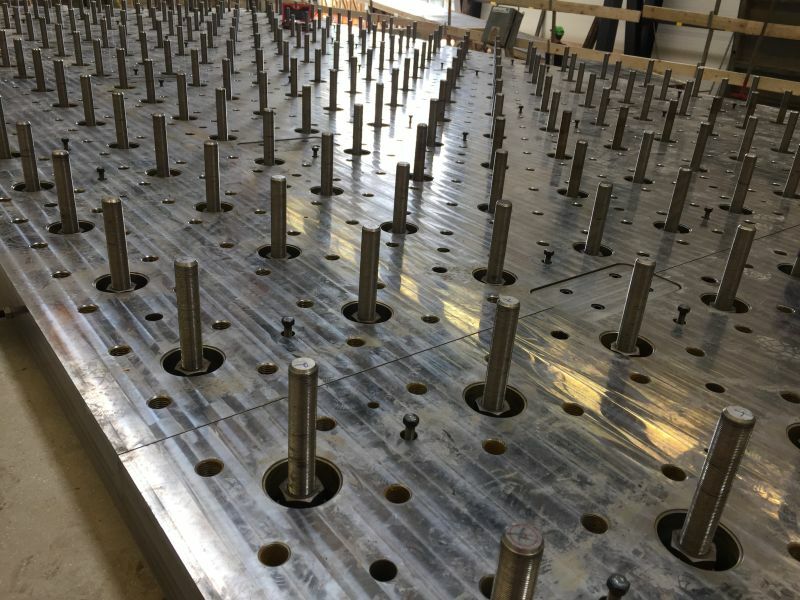 For the LORC test bench, R&D Test Systems used 300 pieces of 4 to 10 meters long FATBARs to anchor the machine components installed on the foundation. R&D TEST SYSTEMS and Peikko have high ambitions and are both committed to creating more value for their customers. ‘Our common understanding is an ideal starting point for a long-term partnership. In the future, we aim to use Peikko’s expertise earlier in the design phase,’ Lasse M. Stephansen reveals. Peikko’s FATBAR has also been used by R&D Test Systems in other test bench applications for projects in Europe and China. 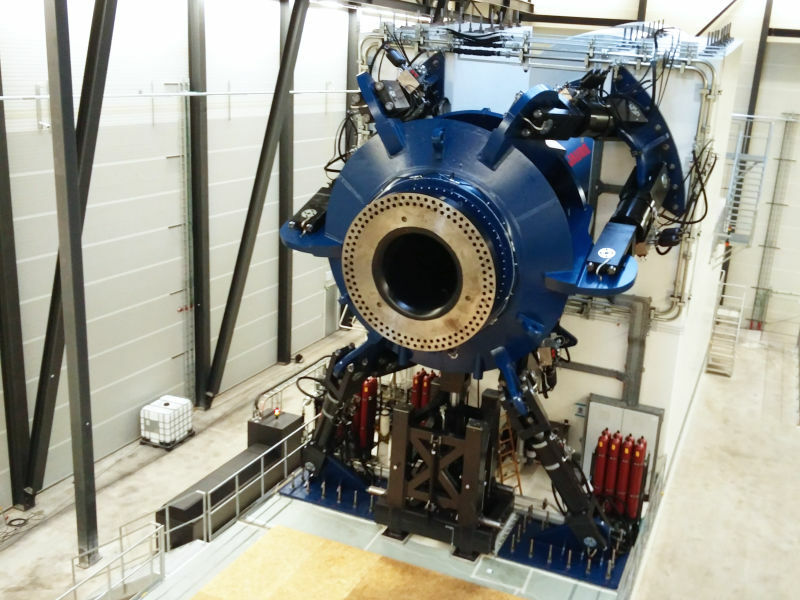 Among these are a strong floor designed for multiple test options of large scale components as well as a system test bench for full scale function tests of wind nacelles. ‘FATBAR is a good solution for our strong floor project as well,’ adds Lasse M. Stephansen. ‘R&D Test Systems covers a wide field of the energy industry. Combining their engineering know-how with ours will be a winning combination,’ explains Kari Tuominen, Business Director at Peikko’s wind turbine foundations. FATBAR is a vital part of rock foundation technology for onshore wind turbines. Peikko’s approach combines design, production and assembly for safety, reliability and efficiency. ‘To date, we have delivered more than 400 rock foundations to ambitious and demanding projects such as the Fosen Vind in Norway. But we’re glad that the effort we’ve invested in research and development can also be used when testing new turbine technology. After all, it’s the passion for innovation which drives the whole industry,’ concludes Kari Tuominen. 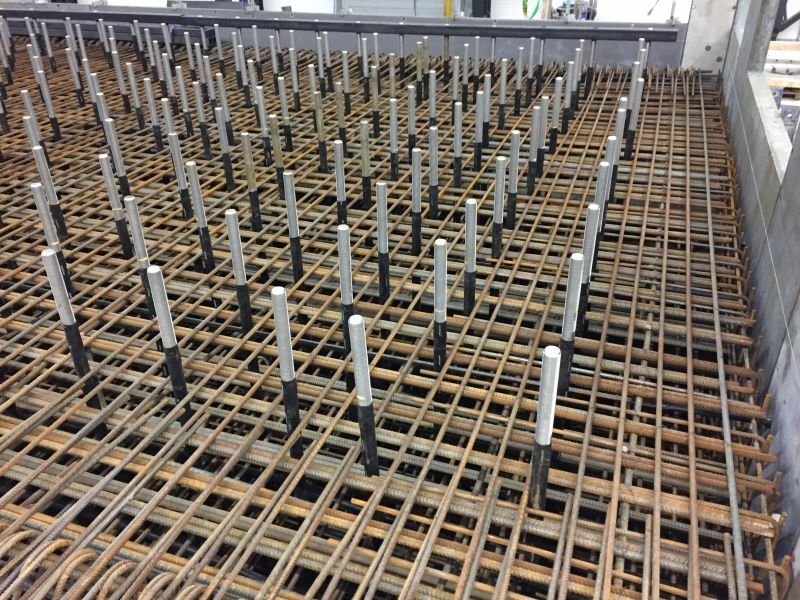 The HALT test bench at LORC’s test facilities has a 1,500 m3 concrete foundation. 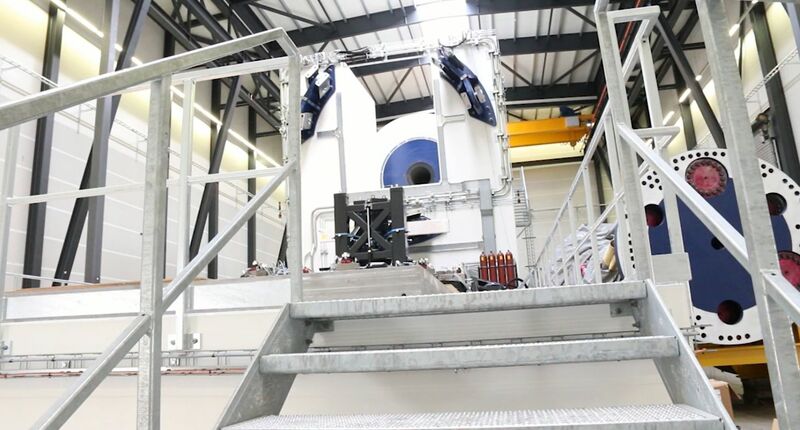 Nonetheless, the turbine needs to be positioned with a deviation less than one millimeter – despite the fact that the test bench is 31 meters long and 13 meters high. Machine to foundation interface needs to be kept in compression at all times. Peikko’s FATBAR post-tensioned anchor bolts can do this while still withstanding high tension.